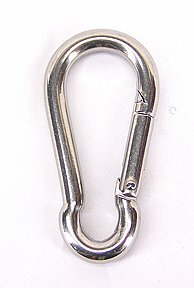 High quality stainless steel safety spring snap. This is NOT the same spring snaps that you'll find in your local hardware store, these snaps are manufactured to a much higher standard, beautiful and very well constructed. Overall length in 2 3/8".